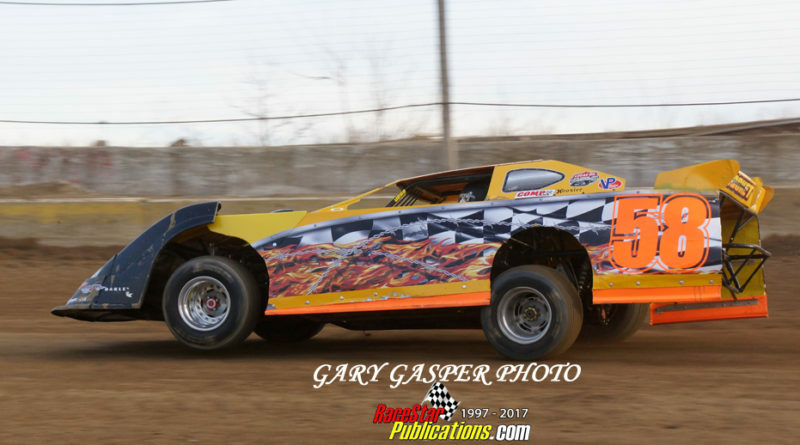 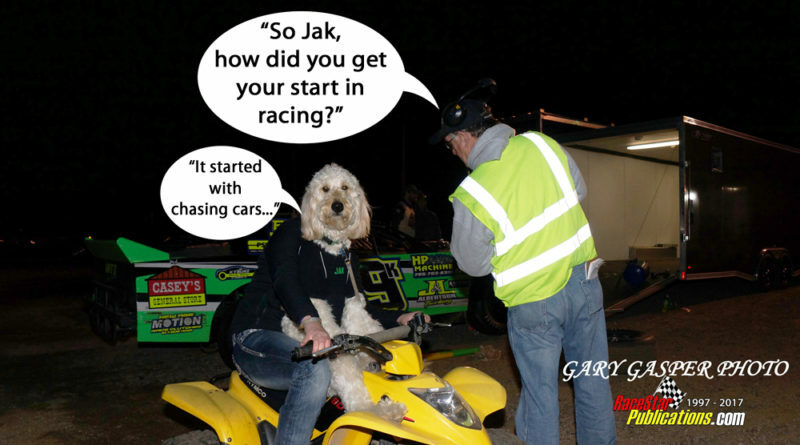 Chase, Ind., April 1, 2017-Zeke McKenzie came home the winner of the 20-lap feature race for DIRTcar UMP modifieds at Daugherty Speedway Saturday night. 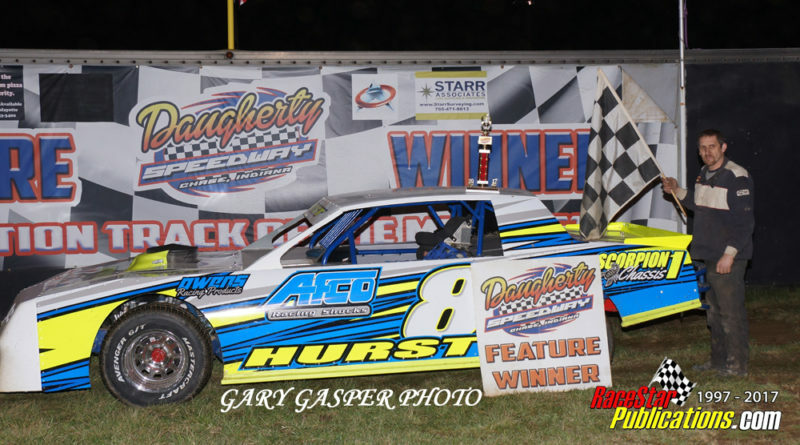 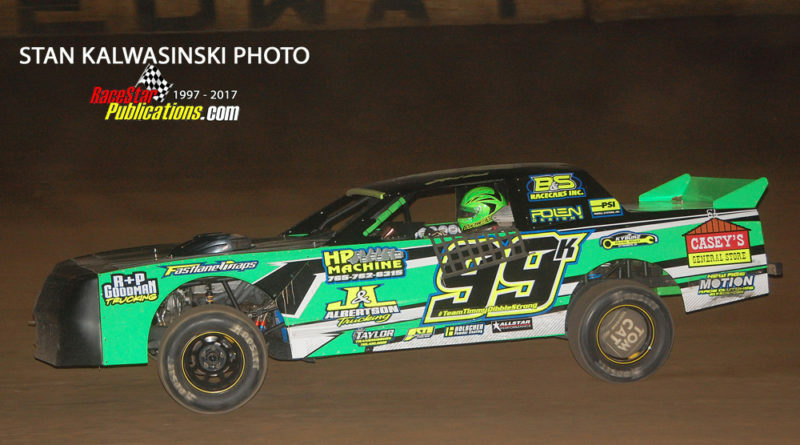 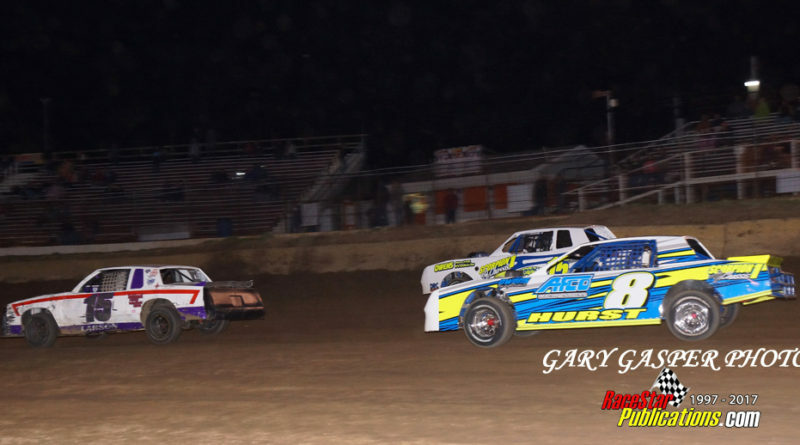 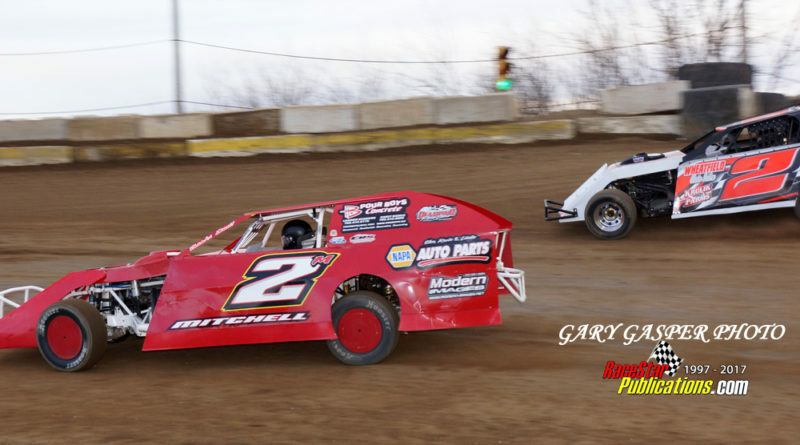 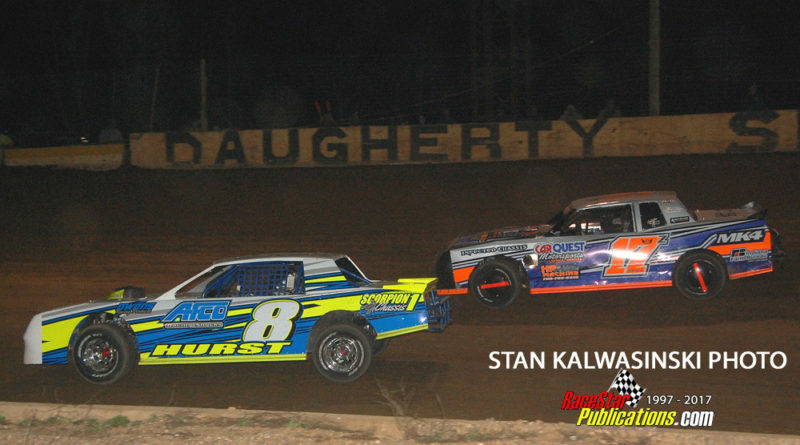 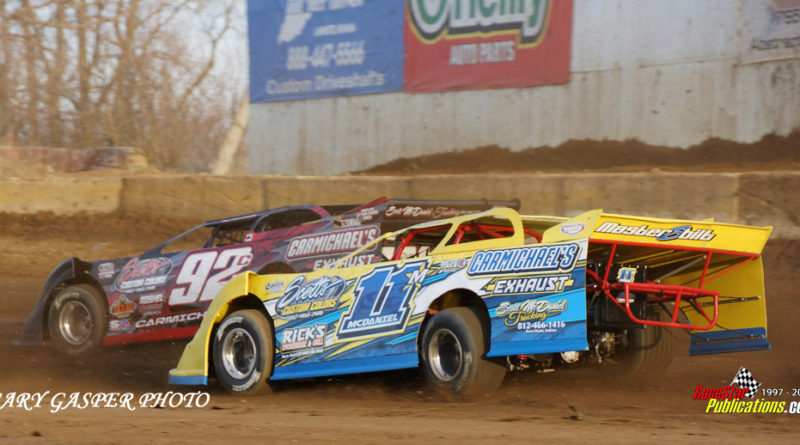 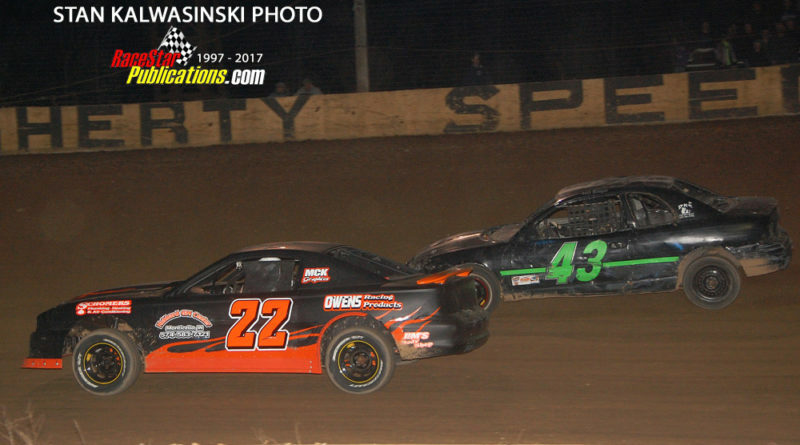 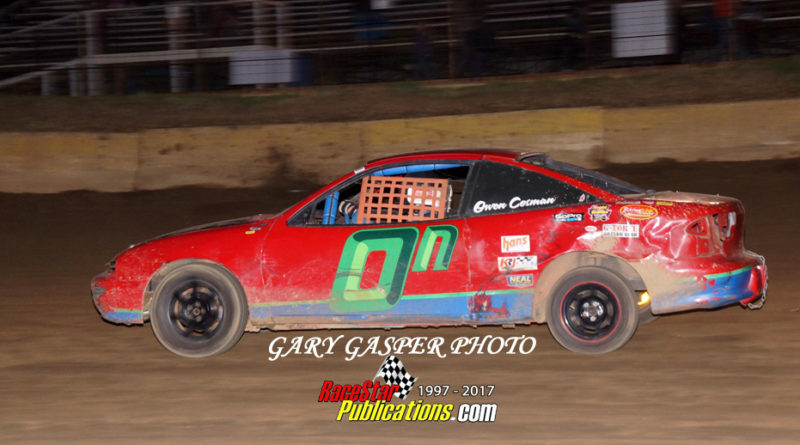 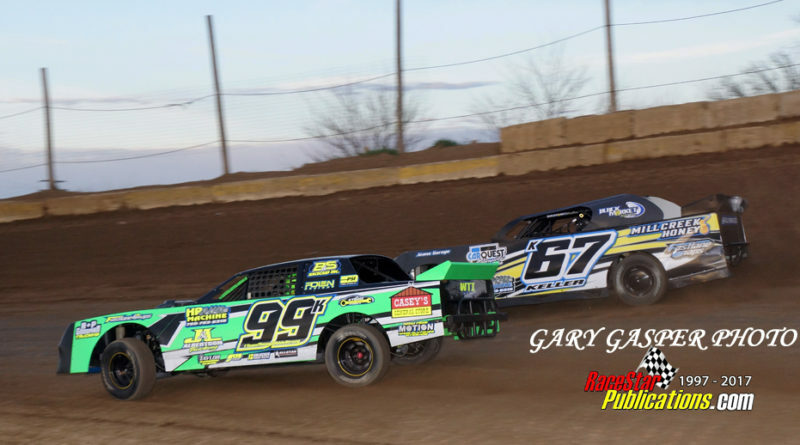 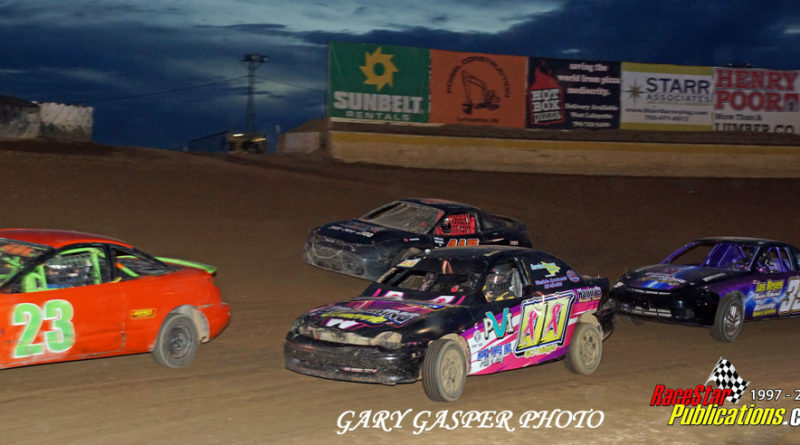 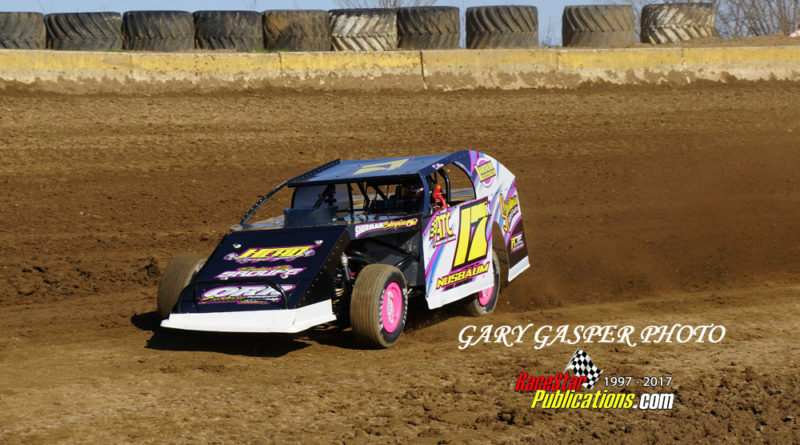 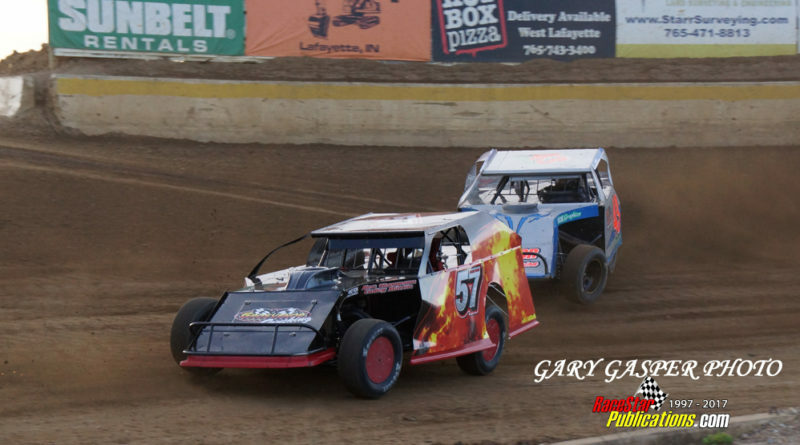 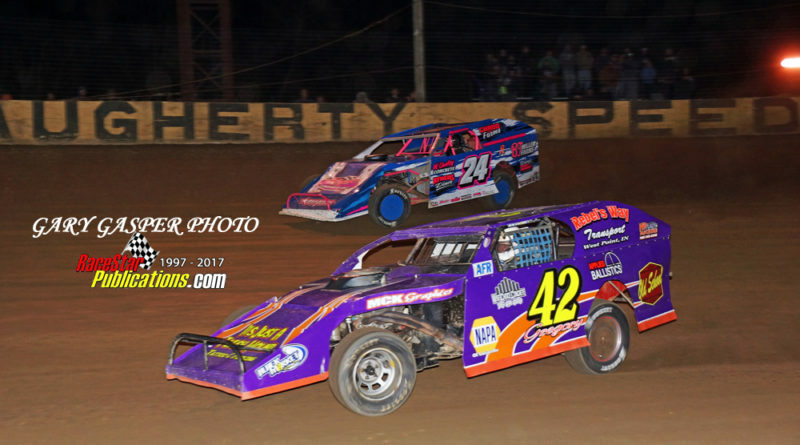 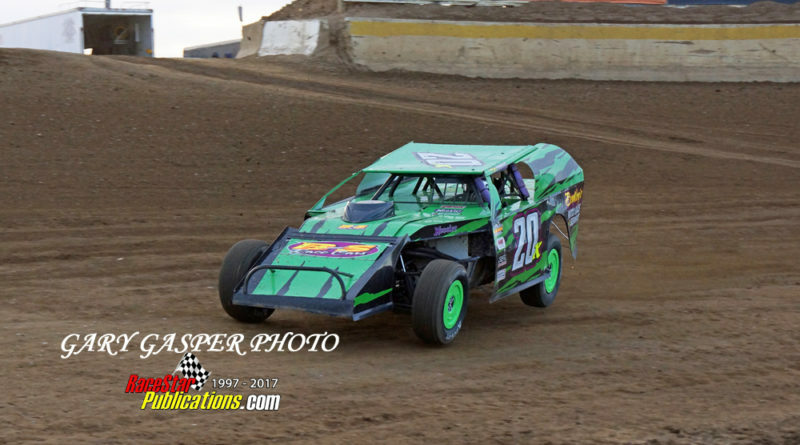 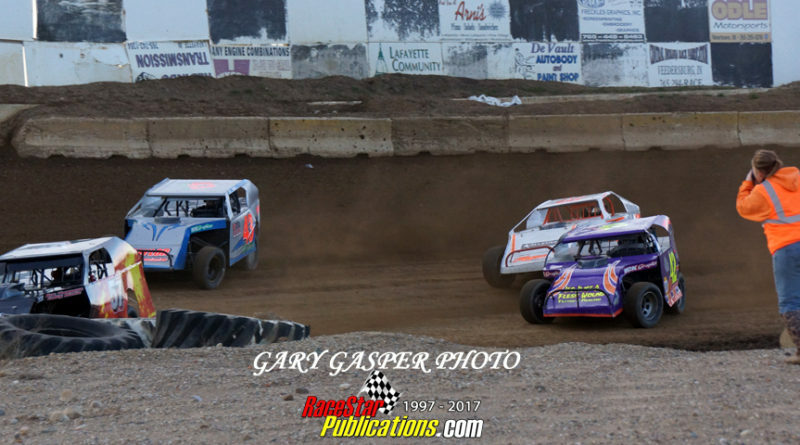 The event saw all races completed at the three-eights-mile dirt oval after last week’s season-opening program was rain-abbreviated. 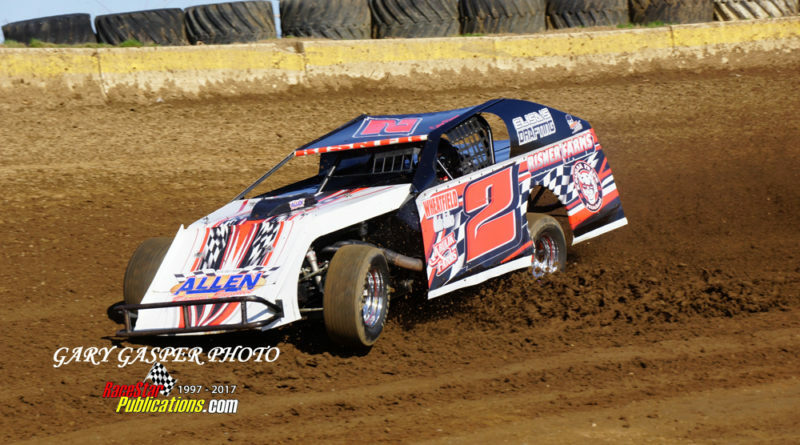 Wheeling his BT Miller Farms-owned No. 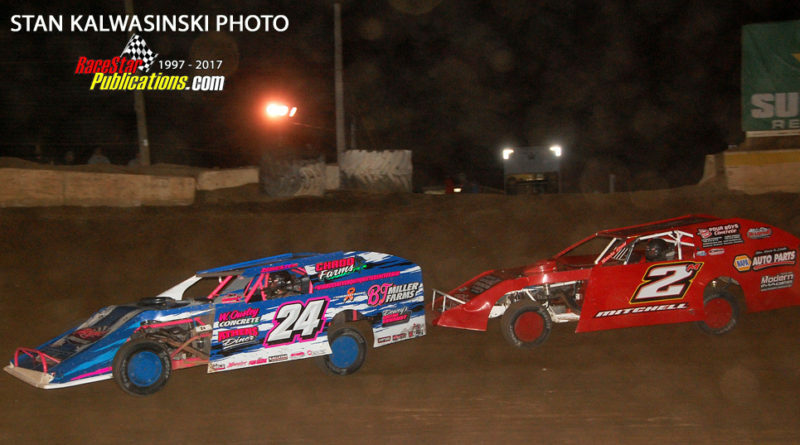 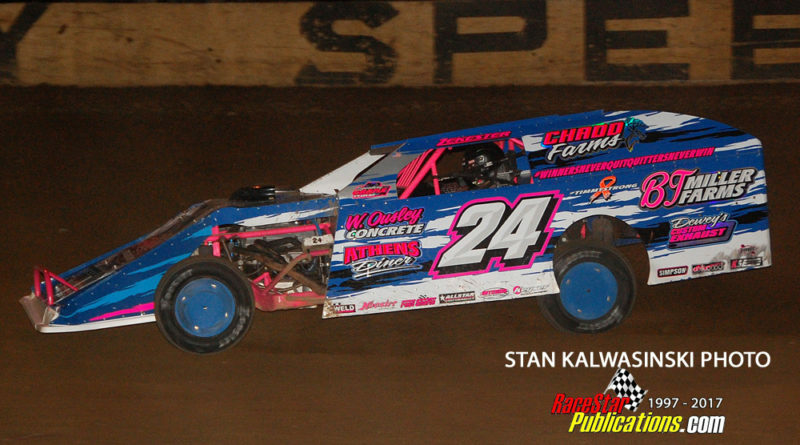 24 modified, McKenzie battled with Matt Mitchell for the top spot before claiming the checkered flag. 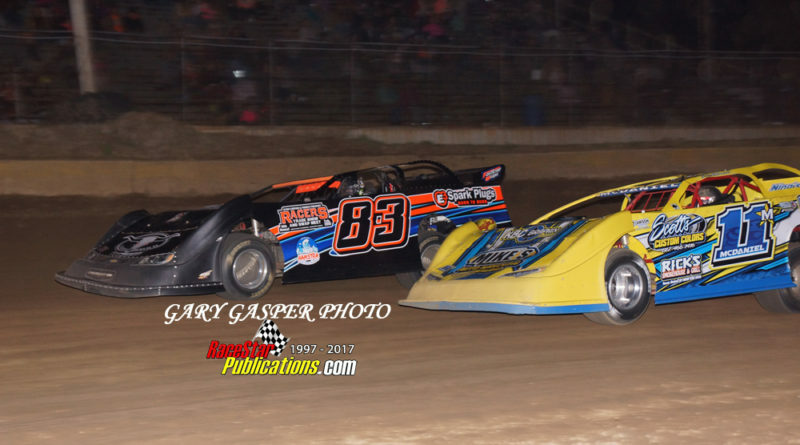 McKenzie, the 31-year-old speedster from Claypool, used a power move around Mitchell after a late-race restart to claim the victory. 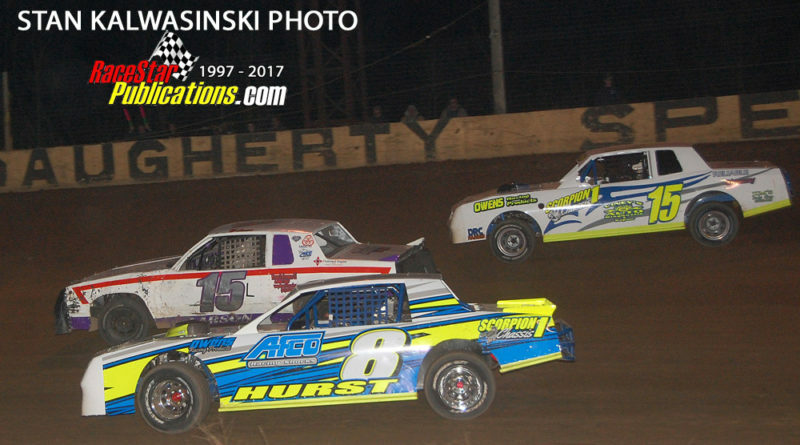 Finishing behind McKenzie and Mitchell at the finish were early race leader Justin Gregory, Joey Iliff, Ryan Cripe and Tony Anderson. 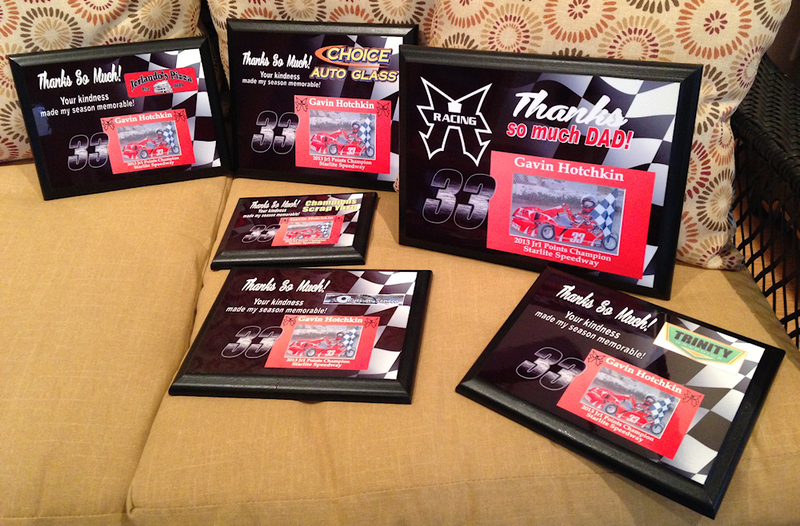 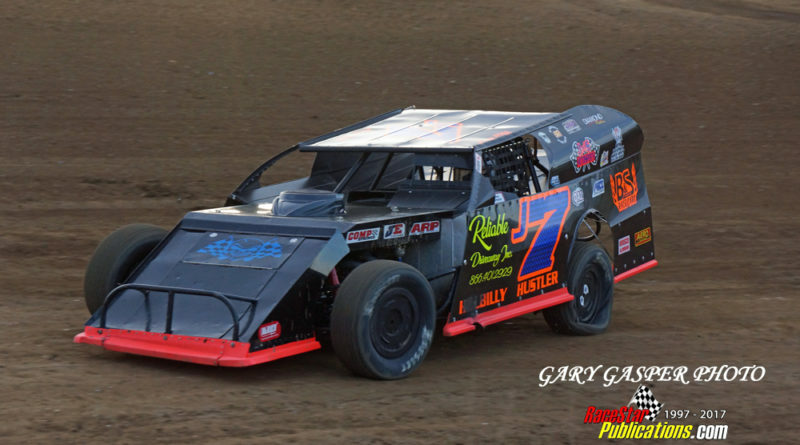 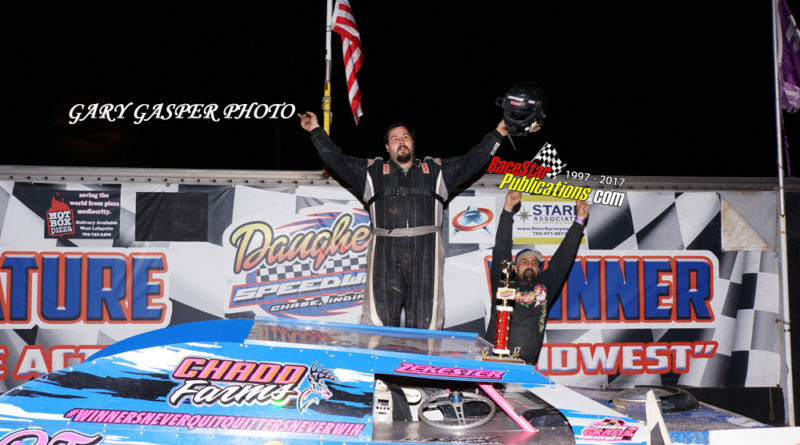 Rounding out the top 10 were last year’s track champion Mark Grosvenor, Kyle Parker, Brent Gregory and Dustin Jones. 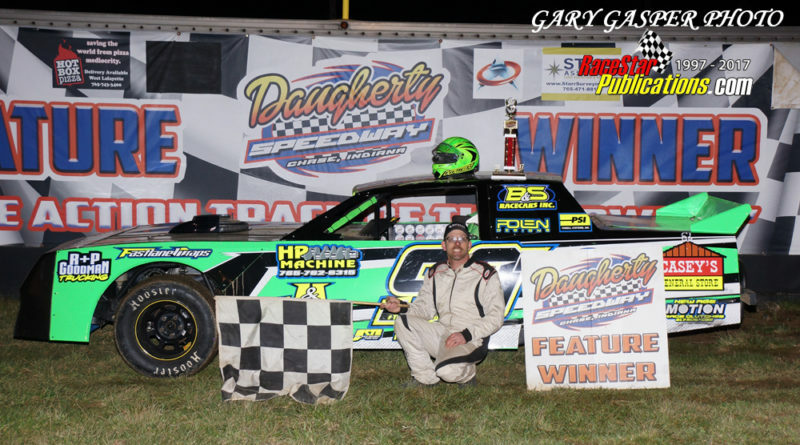 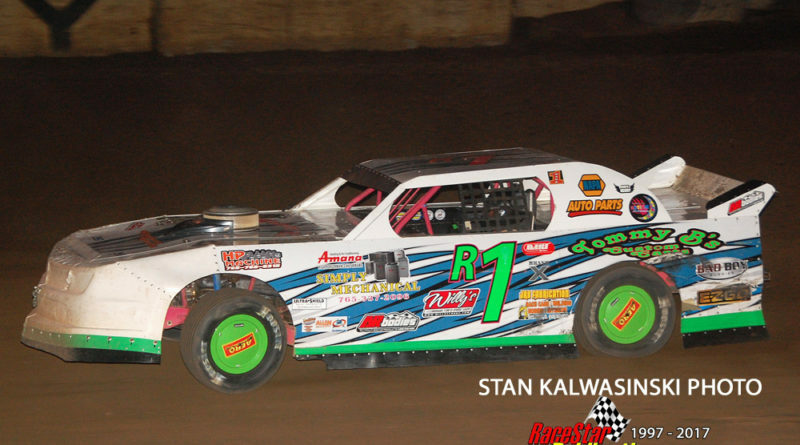 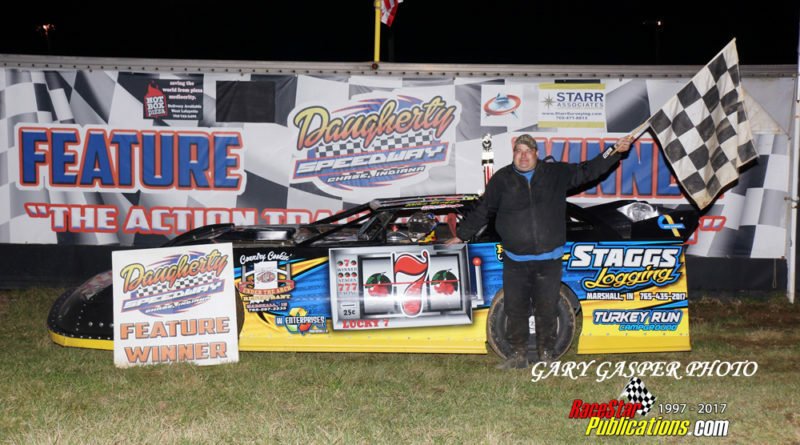 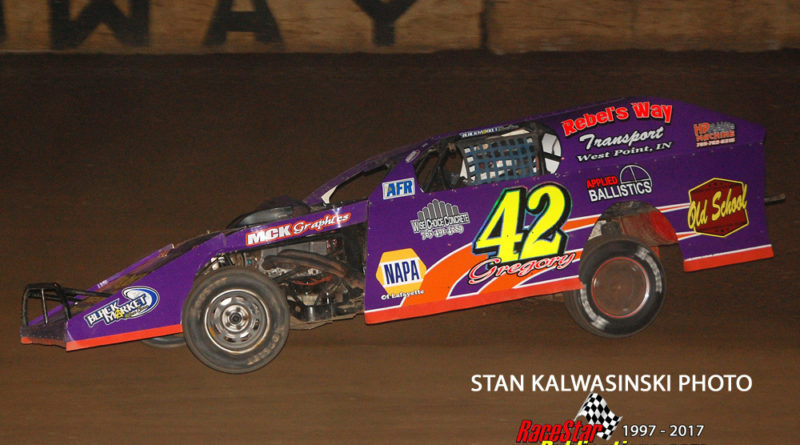 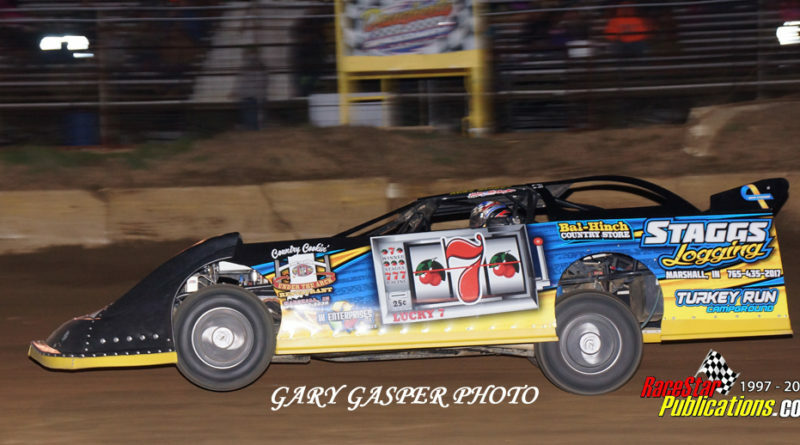 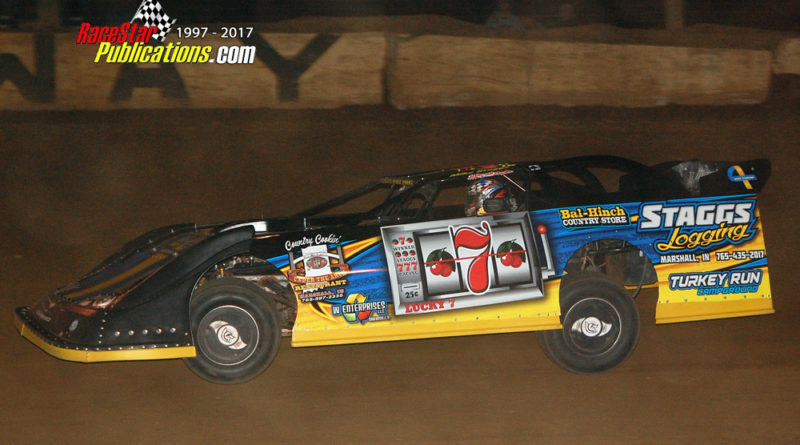 Last year’s division champion, Mike Staggs won the 20-lap main event for UMP Pro Late Models. 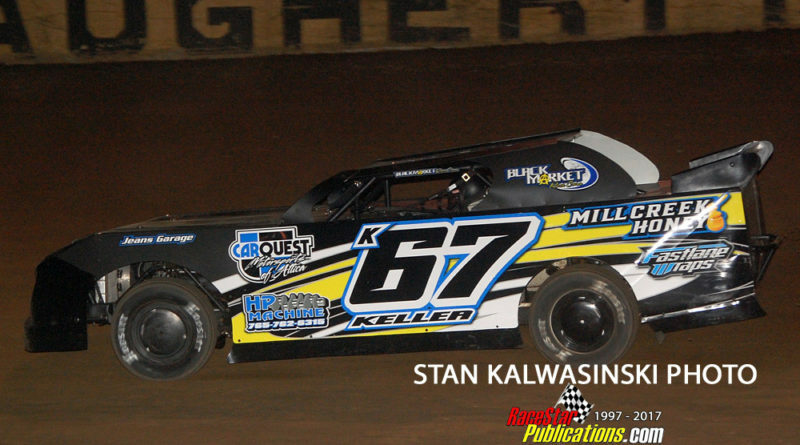 Moving into the lead from his outside front row starting spot, Staggs, who hails from Marshall, rolled to the checkered flag over Kenny Carmichael Jr., Brian Shewmaker, Joshua McDaniel and Kenny Carmichael. 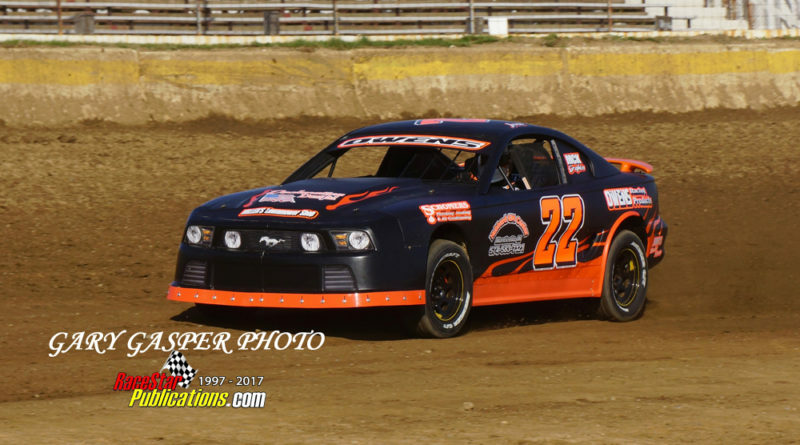 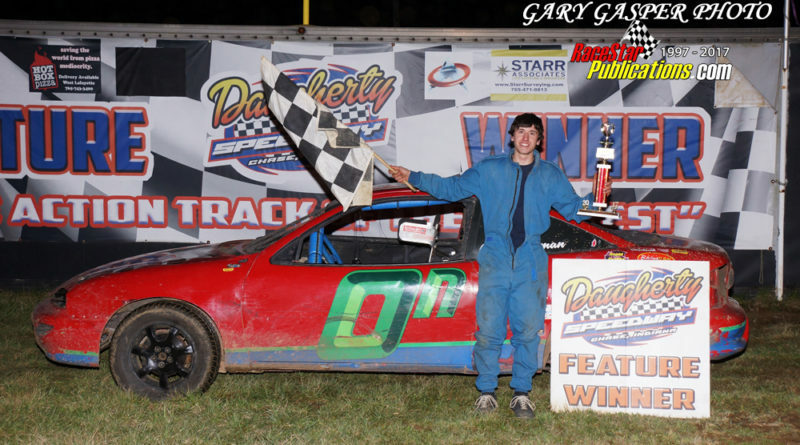 Earl Park’s Jerrad Krick claimed top honors in the 20-lap Street Stock headliner. 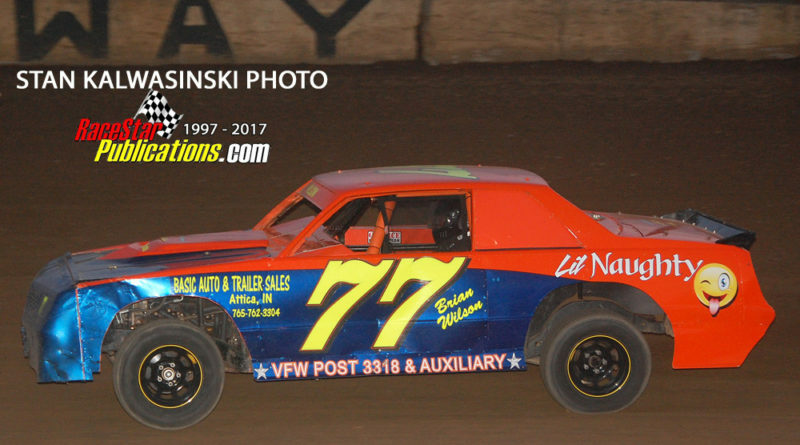 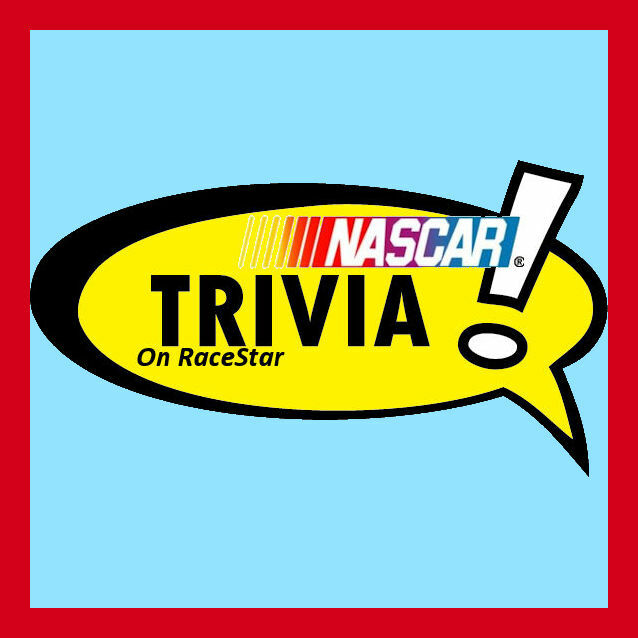 Krick, last year’s division champion, bested Jim Ransom and Michael Clark in the race that saw leader Ian Keller fall out of the chase seemingly on his way to the win. 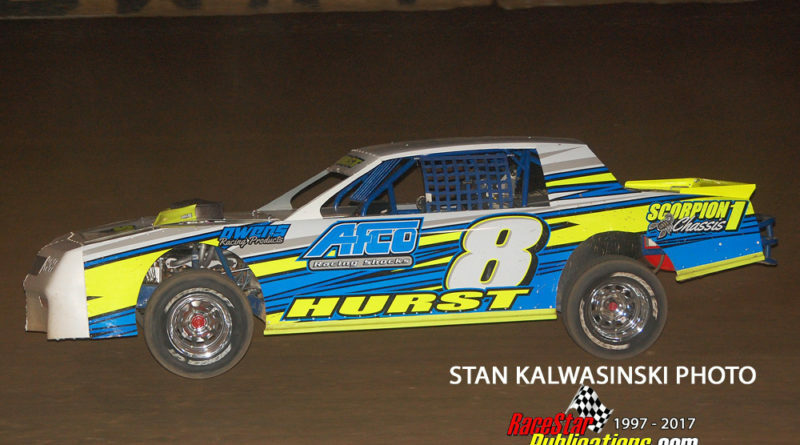 David Hurst of Lafayette in his ”crate motor” No. 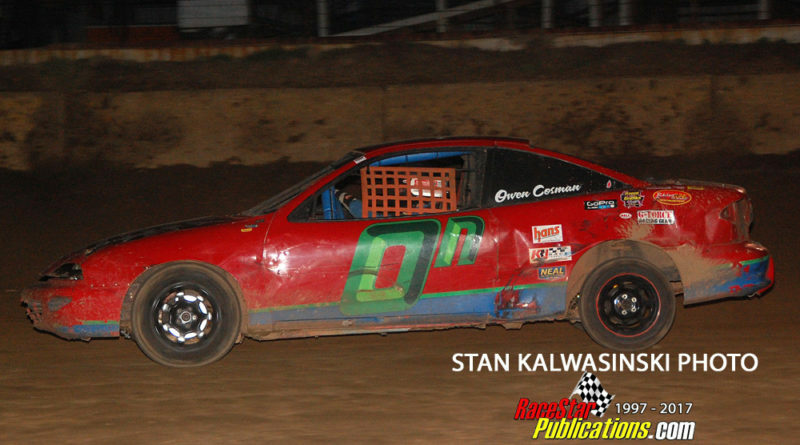 8 was the winner of the 15-lap for Pure Street division competitors. 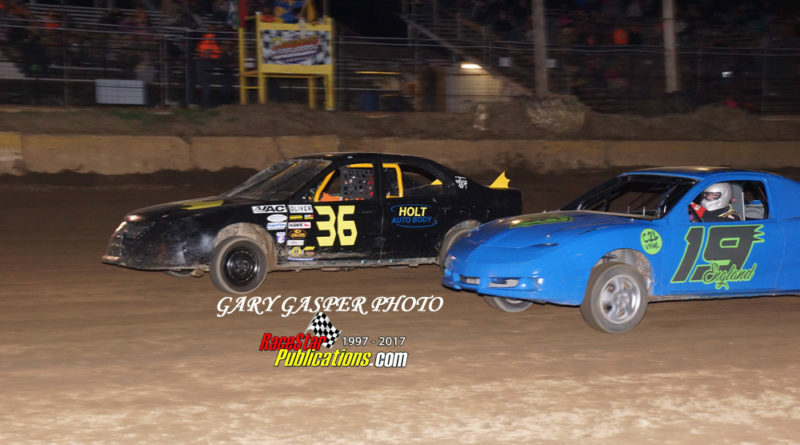 Hurst finished ahead of early race leader Zach Drake, division titlist a year ago, and Owen Wells. 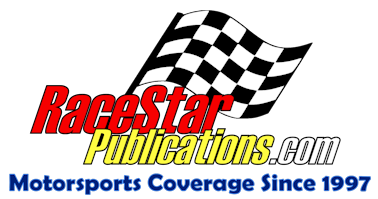 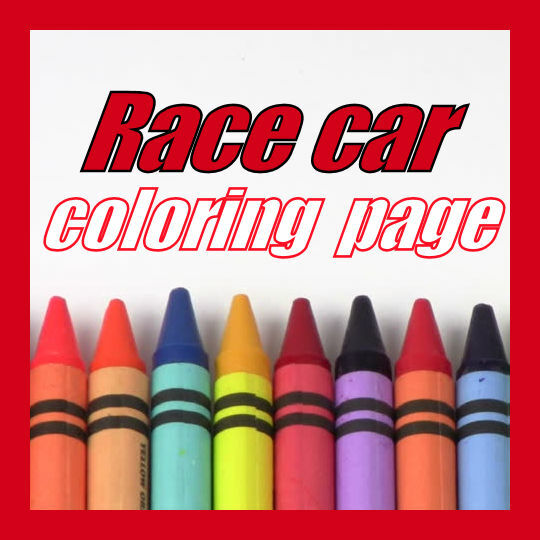 20 cars started the 15-lap Sport Compacts (four-cylinder) feature with Owen Cosman of Martinsville posting the victory over Jake Momper, who started at the back of the field by virtue of his early victory in the makeup feature for the class. 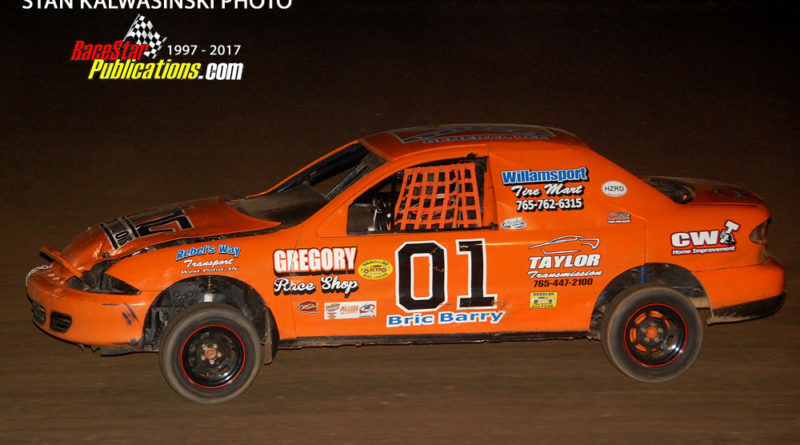 Bric Barry seemed on his way to victory until he retired to the infield. 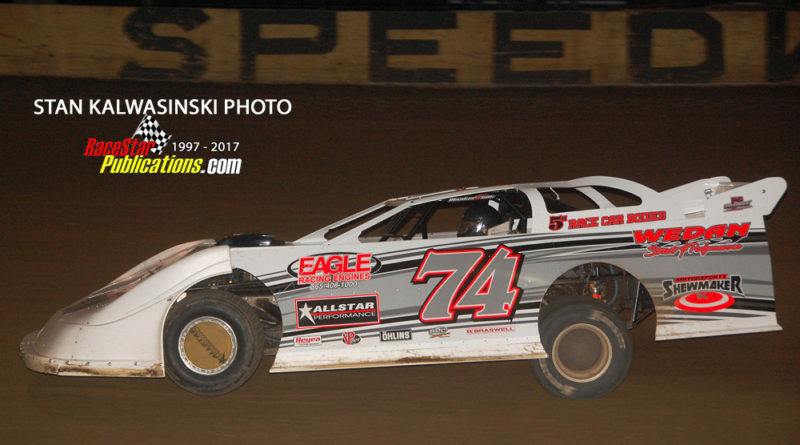 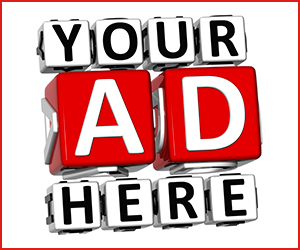 Jace Owens, Jeramie England and 2016 class champ Jacob Wilkinson completed the top five. 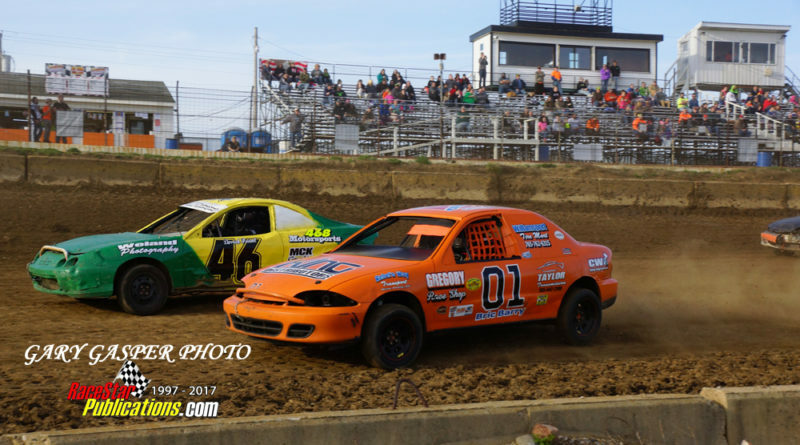 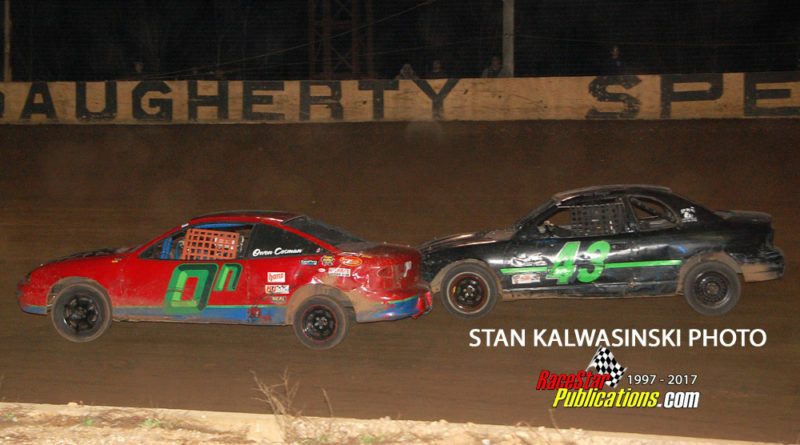 Ransom (Street Stocks) and Hurst (Pure Streets) were the other winners of the makeup features from last Saturday.